Let's be honest: Skinny jeans, tried-and-true as they may be, have earned a well-deserved break. Fall is the perfect time to branch out and explore other styles of denim, and you can easily amp up your look with a style that boasts a bit of volume. See, flared and wide-leg jeans will always come back in style for one simple reason: they instantly create a strong silhouette. Go subtle with a kick flare, casual-cool with a cropped style, or full drama with bell-bottoms. The best part? While these spacious silhouettes may evoke the charm of retro fashion statements, each has distinctly modern appeal. Wide-leg jeans are easy to style and ultra-flattering (that’s called a win-win). You’ll find them in full length and cropped styles—the latter are ideal right now with a great pair of fall booties. Keep your proportions in check by balancing the wide-bottom silhouette with a crisp blouse or fitted knit top. Here’s a denim statement that’s relatively new on the scene, but has officially hit mainstream status. We’re calling it: It’s time to invest in a pair of kick-flare jeans. This cropped silhouette transitions perfectly into fall with a cozy sweater and ankle boots. 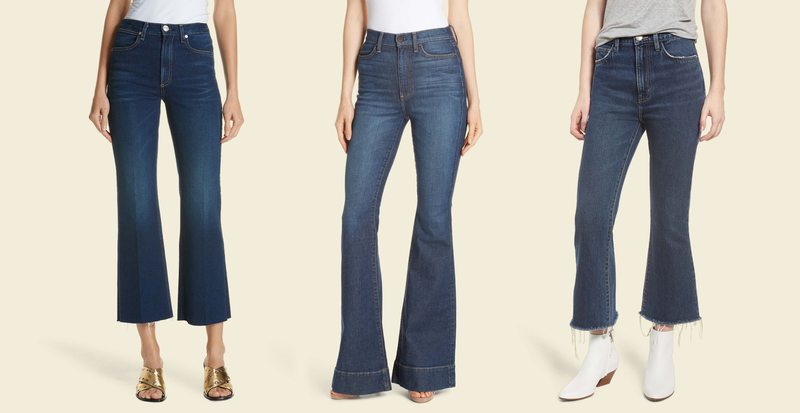 Bell-bottoms are back! They’re just too cool to retire. These days, they come in a full range of flare, from extra-wide to more subtle silhouettes. Their versatility offers a range of outfit options. 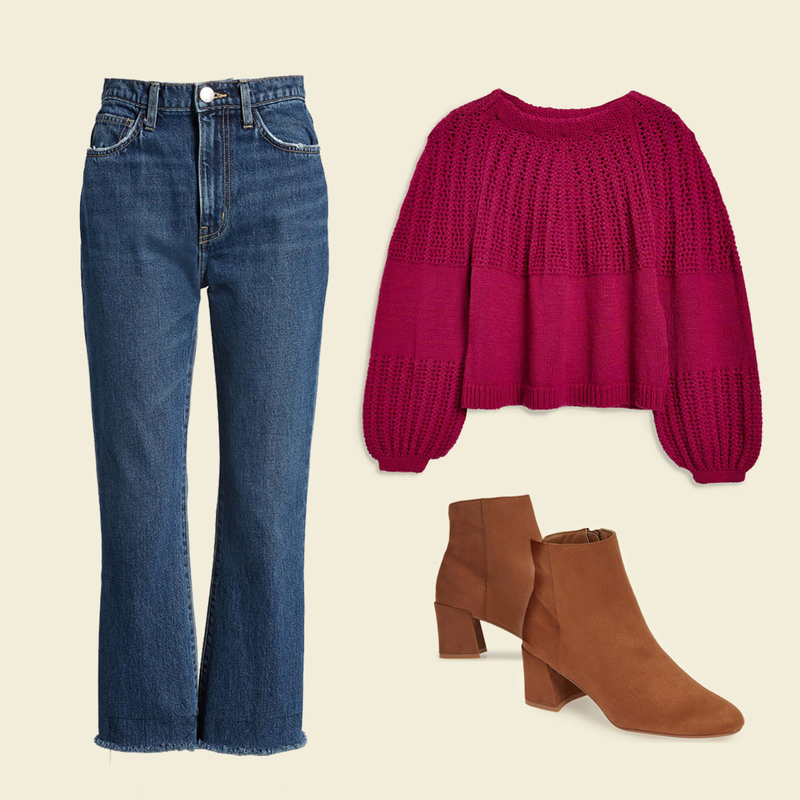 Channel your inner ‘70s glam and pair these jeans with a boho top and statement boots, or try dressing them up with a sophisticated silk blouse and pointed-toe heels.